“E” is for Energy! How much do we need a little extra energy in our lives? All the ingredients in this energy packed smoothie have similar qualities…Rich in Antioxidants, Vitamin C and Energy packed! Pineapple (1 Cup) contains 131% Vitamin C. Pineapples are an excellent source of Vitamin C, Vitamin B-6, Magnesium, Manganese, Thiamin. Known for their anti-inflammatory benefits too and Dietary Fiber to aid in digestion. They are a rich source of antioxidants, which aid in preventing/repairing cell damage. Mango (1) Great source of Beta Carotene, antioxidants and great for skin and hair. 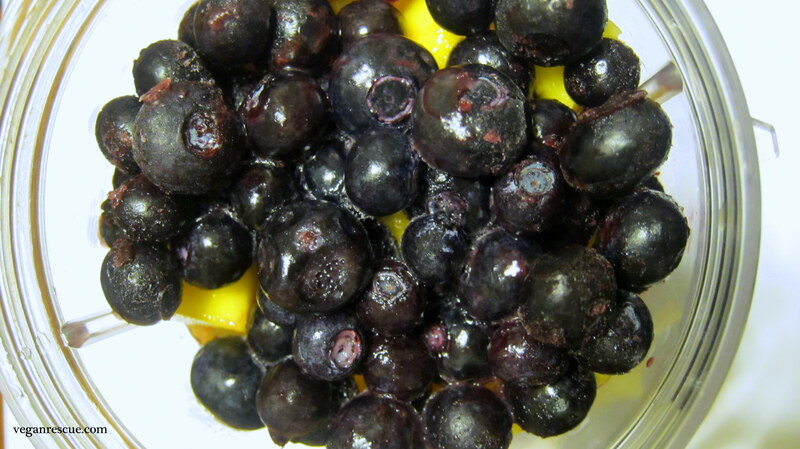 Blueberries (1 Cup) also provides 24% Vitamin C 36% Vitamin K. Rich source of Antioxidants. Spinach (1 Cup) Packed with Iron. Great source of Calcium, Vitamins, Zinc – think of Popeye’s strength and how he’d jump up in the air with great strength after a can. Kale is a great substitute too. Peaches (1) – Vitamins A, C, K & E. Antioxidants – Vitamin C.
Cranberry Juice – (1 Cup) – Packed with energy and protein. Minerals like calcium, zinc, magnesium, Vitamin B-6, Riboflavin. Coconut Water is great here too! Also, for smoothies or a great snack are: Bananas which contain a lot of Potassium. They are great if you’re ever looking for an energy boost or pick me up. Nuts like Almonds or Apples too. 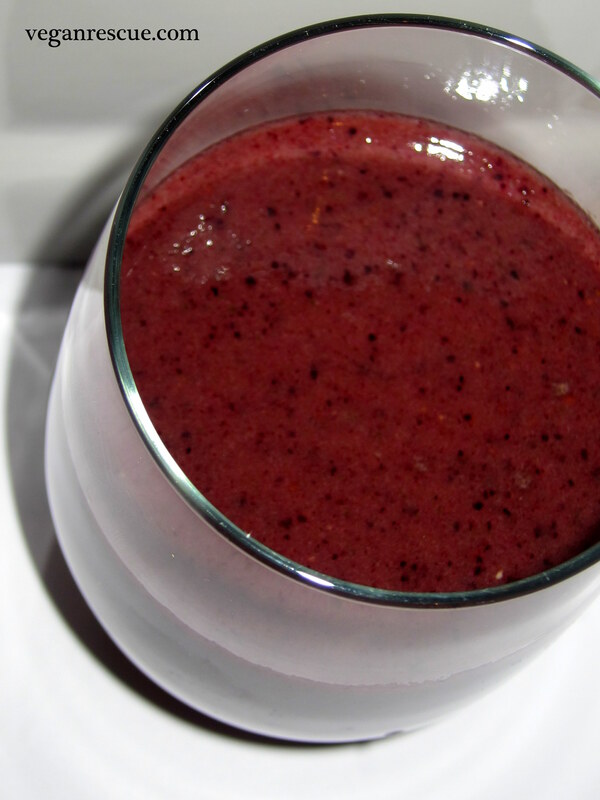 Soak your Nuts for smoothies for easier digestion. Smoothie Add-ins: Cinnamon, Hemp Seeds, Chia Seeds, Maca Powder, Cocoa Powder, Matcha, Flax Seeds/Meal. Avocado, Berries, Bananas, and Papayas are fantastic for energy and excellent for hair/skin too. Oranges and Grapefruits – Vitamin C, what can I say…Vitamin C. If you have a cold, feeling ill, fatigued – Vitamin C should surely give you a boost. Anything that is cancer fighting, rich in antioxidants, I’m down for. Cold medicines…Supplements…Coffee, why not give fruits and veggies a try. E includes Easter Dinner. I wanted to edit my “E” section to include Easter Dinner. Whether Easter to you means Resurrection Day or the Easter Bunny and “Plastic” Easter Egg hunts, it is typically a time where people, family and friends come together. That togetherness is always important and just as stated in my ‘about’ our gatherings always include food! 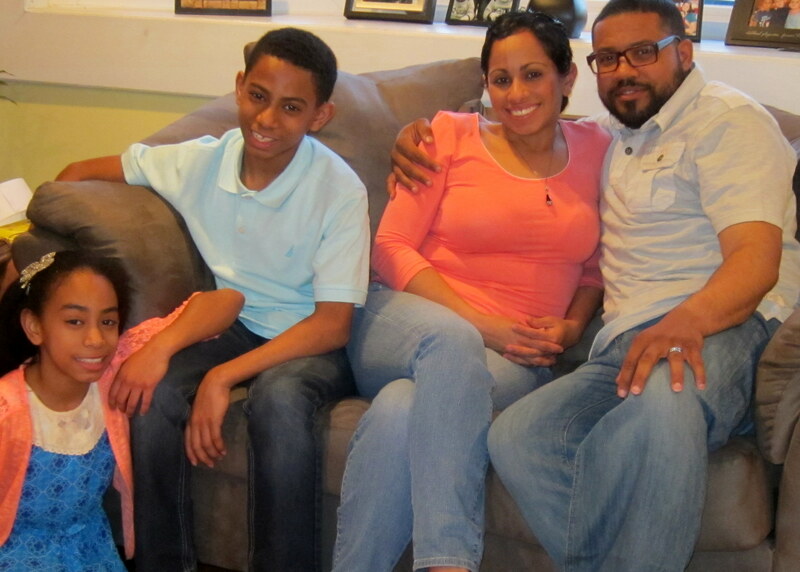 This year we spent time at my brother’s and enjoyed a fantastic Easter dinner – they had their selections and I brought along our vegan items, which are always enjoyed by everyone. 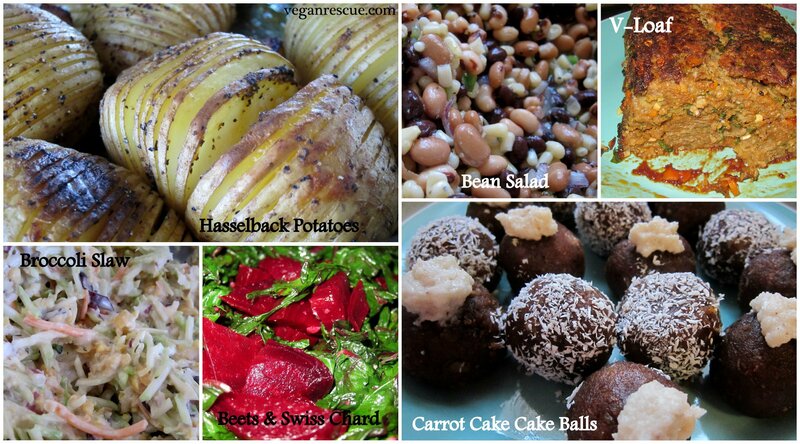 I made my coveted V-Loaf and Bean Salad along with some lovely Hasselback Potatoes, Broccoli Slaw, Beets/Swiss Chard and for dessert my carrotcake cake balls. This is us -minus (1) – Megan did not come along today. It was refreshing and is definitely worth a try!